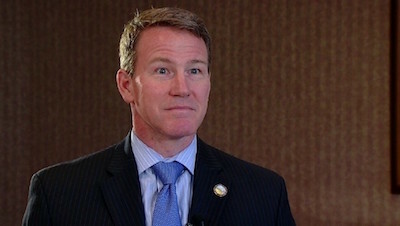 In 2015, residents of several rural Ohio counties watched in shock as Ohio Secretary of State Jon Husted unilaterally removed citizen-sponsored initiatives from county ballots. The initiatives, which had already qualified for the ballot, would have banned oil and gas drilling and fracking in those communities. The Ohio Supreme Court sharply rapped Husted’s knuckles for using authority he didn’t have. However, a year later, the people of those same counties watched in disbelief as Husted again blocked their initiatives. This time, the Ohio Supreme Court affirmed his actions. It is not surprising that Husted—who as of this writing is running for governor—is the darling of the very oil and gas industry targeted by those local initiatives. Indeed, the industry has long-supported his electoral campaigns. The people of Ohio aren’t the only victims of their own government. Across the country we are seeing government efforts, often at the behest of corporations, to restrict the authority of “we the people” to the initiative. Government officials are taking this action even though the authority for initiative is codified in nearly half the state constitutions in the United States. In Oregon, a cat-and-mouse game is underway between some of the country’s largest agribusiness corporations and residents of rural counties. People there are proposing local initiatives to ban aerial pesticide spraying and genetically modified crops. In response, corporations affected by those initiatives have lawyered-up, using obscure legal provisions to try to stop the initiatives from ever reaching the ballot. In Washington State, at the urging of industry, state courts have now adopted a rule that allows virtually any proposed citizen-sponsored initiative to be blocked by corporations before ever reaching the ballot and a vote of the people. In New Hampshire and Maine, some local elected officials have gone even further—refusing to allow duly-qualified citizen initiatives to be voted upon at annual town meetings. In at least one New Hampshire town, local elected officials have refused to sign an initiative even after it was legally adopted by the people of the town. Corporations are working to restrict democratic rights to initiative as communities are advancing structural change—challenging the current system of law we live under, which insulates corporate projects from democratic control. In its place they are moving forward a new system of law based on recognizing the right of communities to decide their own futures, and then elevating that community right above corporate “rights.” This new system is now beginning to forcibly crash into the older, existing one. The ballot clashes in Ohio, Oregon and elsewhere are all about the old system not going quietly. Here’s how the system works today. Decisions made by the federal government trump the decisions and laws of state governments. Decisions and laws made by both federal and state governments trump the laws of local governments. So, when the State of Vermont adopts a law requiring the labeling of food products containing genetically modified ingredients, the U.S. Congress can simply override it. It did so in 2016 when our representatives passed a law nullifying state efforts to mandate food labeling. The more central an issue is to affecting commerce, the more preemptive rules you will find around it. For example, the federal government controls almost all issues dealing with oil and gas pipelines and the rail transportation of fossil fuels. Thus, those issues are lifted out of the hands of local and state governments. State-level preemption operates in a similar fashion. Almost all states have oil and gas laws. Those laws regulate and control how fossil fuels are extracted. Those state laws have generally been found to abolish not only the authority of localities to determine how oil and gas is extracted, but whether oil and gas is extracted. Thus, state laws—such as those in Texas, Colorado, Pennsylvania, and Ohio—eliminate the authority of local communities to ban oil and gas extraction altogether. Similarly, state legislatures across the country have adopted a slew of laws prohibiting communities from banning large corporate water withdrawals, dumping of toxic sewage sludge and GMOs. Some states, including Pennsylvania and New York, have even authorized their state Attorneys General to act as private attorneys for corporations to sue communities who buck those laws. 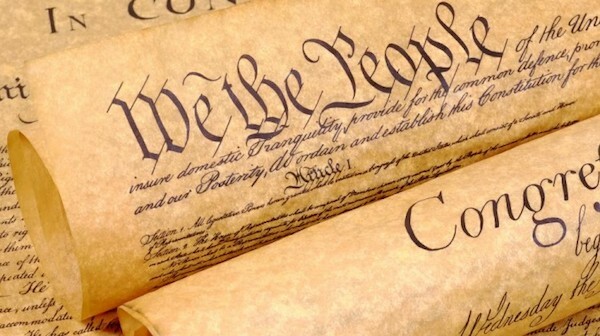 It all boils down to this: If you have the financial and legal ability to control the uppermost levels of lawmaking and decision making, you don’t have to abide by the rights and wishes of the communities in which you operate. There are rare cases in which people have actually been able to use their state or federal government to adopt laws that benefit the public interest. However, corporations then use the courts to either overturn those laws or severely limit their reach. Corporations are the dominant economic players in our system. They have pioneered the use of corporate constitutional “rights” to attack any law that infringes upon their ability to engage in commerce or use corporate property. In today’s world, in which almost every meaningful reform affects commerce or property, it’s relatively easy to apply those “rights” to overturn laws that affect certain industries. Thus, corporate free speech rights have been leveraged to overturn federal laws limiting corporate campaign donations; corporate religious rights have been used to limit healthcare legislation; corporate property rights have been used to overturn environmental regulations; and corporate commerce rights have been used to strike down regulations on coal mining, trucking, pipelines, waste disposal, and landfills. Thus, when corporations lose at the ballot box, or in legislatures, they can resort to the safe harbor of the judiciary. This branch of government has shown itself more than willing to vindicate corporate “rights” to nullify laws that corporations don’t like. Making matters worse, state legislatures often take those court rulings and write them directly into state law—thus safeguarding those corporate “rights” by providing statutory protection for them. Each round of this makes it harder to remove those corporate protections, adding more and more layers that must be peeled back in the future. While we have to win at every level to succeed, corporations only need to win at one to put us back on the defensive. It’s the ultimate rigged game. It works only because the system is so camouflaged to give it the appearance of being open to change, and so few people understand the degree to which it is rigged. Is it any surprise that we’ve ended up where we are? Over the past 20 years, people in hundreds of communities across the United States have come face-to-face with the machinery of this system and its inevitable results. Poll after poll and study after study reveal the same thing: People want healthy, safe communities and protections for nature. And yet our system has been engineered to deliver the opposite. Instead of recognizing the power of people to build those communities, it gives power to those interested in exploiting them. Those trying to stop the spread of GMOs at the community level run up against state and federal laws that override their efforts. Those trying to stop corporate water withdrawals run up against state water resources laws. Those trying to stop the dumping of sewage sludge run up against state nutrient management acts. 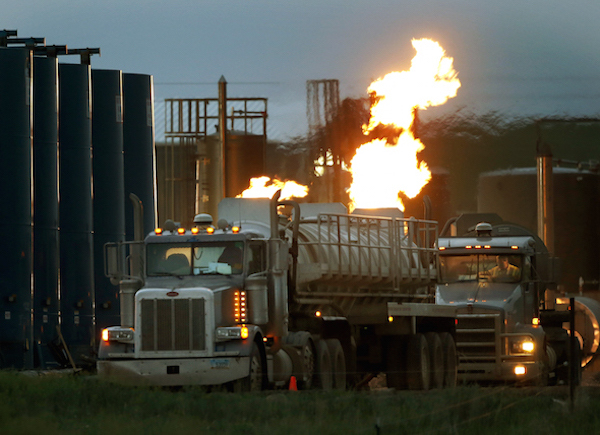 Those trying to ban fracking run up against state oil and gas acts. Those trying to stop oil and gas pipelines run up against preemptive federal authority lodged in agencies like the Federal Energy Regulatory Commission. Many of those communities try to use traditional nuisance, land use, or zoning laws to stop those corporate projects. In doing so, they labor to find a loophole in the preemption laws, or they hire lawyers who have convinced the communities that concocting some kind of exception to those laws is possible. They almost always lose. And even in those rare circumstances when they win, like a self-sealing tire, the system develops new laws that permanently seal the leak—so that other communities are unable to use the same arguments. Many communities have learned from those losses and have begun to drive a new theory of law—one not focused on trying to find loopholes, crawling through exemptions, or finding the “right” judge who might look favorably on their lawmaking. These communities have begun to understand that the individual threat or issue facing their community—fracking, GMOs, or otherwise—is just a symptom of this system, not the problem itself. That’s because the system we have doesn’t care what we want or need, no matter what the consequences to our communities and nature. People in communities under threat are confronted with the reality of this existing system. They are concluding that without true decentralization of decision-making authority down to the community level, they’ll never be able to stop fracking or other threats from invading their communities. Further, they are realizing we’ll never be able to move toward anything close to sustainability. They’re arguing that the people of their communities possess a constitutional right of local, community self-government—the authority to govern themselves on issues that the corporate state has removed from their control. What will it take for communities to actually have control over whether fossil fuels are shipped through them? To decide if pipelines are laid? To vote if GMOs are planted? To determine whether they are forced to become the unwilling hosts of factory farms, toxic dumps, or pollution factories? It will take the entire system of law turned upside down. That means that communities must be able to pass laws and make them stick. It means making those communities immune from corporate “rights” and the authority of “higher” governments to define what communities can and cannot do. It means giving birth to community democracy—a concept that, itself, is actually older than the system we currently have: A Constitutional Right of Local Community Self-Government. Recognition by the courts of a constitutional right of local community self-government would have far-reaching consequences. A finding that the right exists would force other legal doctrines to give way to that right. This means, for example, that the use of corporate “rights” to overturn local laws would be precluded as running afoul of the right of self-government. So would the authority of the state and federal government to override certain types of local lawmaking. Consider a rural community facing fracking. Today, under the old (existing) system, let’s say the community adopts a law, either by their elected officials or through an initiative process, to ban fracking for shale gas. The law perhaps establishes a local “bill of rights” that recognizes rights to clean air, pure water, and sustainable energy, and then bans fracking as a violation of those rights. The law is inevitably challenged by oil and gas corporations affected by the ban. The constitutional right of the people to local community self-government is thus pitted directly against the corporate claimed constitutional “rights” and against the state government’s authority to prevent the community from adopting the law. With the recognition of a constitutional right of local self-government, however, those corporate “rights” and the authority of the state government must give way to the people’s constitutional right to govern themselves. Such a system, while recognizing the authority of the state and federal government to set a minimum “floor” for environmental, labor, and other standards, would prevent the state and federal government from prohibiting communities from setting higher standards, or from expanding civil and environmental rights at the local level. It is precisely that “ceiling” preemption where corporations have run amok—using that power to stop communities from prohibiting harmful corporate projects. Because this new system is so unlike the old, it would be surprising if the corporate defenders of the old system wouldn’t be investing huge sums of money to stop this new system of law from being adopted by communities. Over the past decade, as over two hundred communities in ten states have driven this new system into being, affected corporations have challenged a handful of those laws. Today, understanding the scope of change envisioned by the community rights movement, those corporations are now reaching into the elections system itself, to stop those laws even before they are adopted. We need to understand that these corporate challenges are proof that the new system of law envisioned by communities is striking exactly as intended—directly at the very power currently wielded by corporations against people and nature. We must respond by challenging not only the ability of corporations to stop these initiatives, but by directly challenging the authority of judges and courts to help them do it. 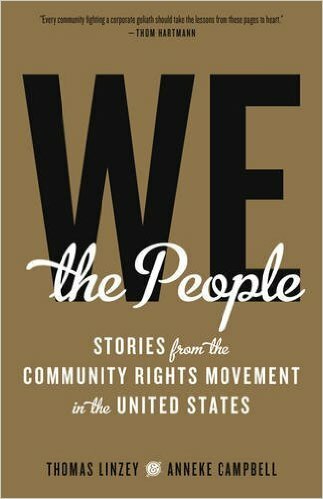 If the actions of the corporations violate the people’s rights of self-government, and the corporations are unable to prevent community votes without the courts, then it’s time for more and more people to understand how the system itself stands in direct contrast to the “we the people” myth of American lore. From there, rather than trying to reform the existing structure, more and more people will begin the real work of building a new one. We need to fight back every way we can. Recall elections would be appropriate when our elected representatives ignore our clearly stated wishes. Judges can also be recalled, and live in daily fear of having to run for re-election against an opponent. They should face an opponent every time. I cannot comprehend how Maine has not recalled its governor, and from the article here it appears New Hampshire has good reason to get going on recalls. Also, we need to come up with an effective boycott strategy. We all need to drive, so boycotting all oil companies won't work, but perhaps a system of rotating boycotts could disrupt them enough they may wish to reconsider their actions. Boycott and picket one brand for 60-90 days, then move on to the next offender. make running their gas stations as inefficient as possible. This can be done with other industries as well. Any community trying to better itself needs to remain organized and find a way to take action when the will of the people is blocked. The growth of government curbs communities from governing themselves. The federal government trumped the states in the War of Seccession 1861-1865. The growth of the progressive movement at the end of the 19th century required centralized control to coerce people into doing what do-gooders thought best for them. Government intervention was not limited to legislating laws but also concocting constitutional amendments such as the prohibition of liquor with the 18th Amendment in 1919. The movement toward community rights can have some success should it ride a groundswell of public opinion on certain issues such as the condemnation of concentrated animal feeding operations. But it will require much greater grassroots involvement and conversations to reach the critical mass needed for revolution long overdue according to Thomas Jefferson. Don’t hold your breath. Ben Franklin was prescient when reporting after the Constitutional Convention of 1787 that we had a republic if we could keep it. Freedom requires vigilance. We lost it. A parasitic people have been programed by mainstream media and socialist schools into emulating the walking dead.